As 2018 is coming to a close many people are planning their projects next year and an upgrade might be part of it. The good news with the latest SDL Tridion Release, named ‘Tridion Sites 9’, is that the word ‘Tridion’ is back in the name! OK, all kidding aside, the other good news is that little has changed in the product since Web 8 and Web 8.5. Meaning, if you’re thinking to upgrade from 8.1 or 8.5, expect few hidden bumps or issues. However, the bad news is also that little has changed since Web 8.1 or Web 8.5. So, if you were expecting to see some of the suggestions on the SDL Ideas Site, then you’ll have to wait a bit longer. One long-standing request that is implemented (I’m aware of it since at least 2007) is image cropping and re-sizing within the backend GUI. Yay! And if you’re curious what’s coming out in 2019 and beyond, watch the Tridion Developer Presentation by the SDL team about the GUI vNext here. For a complete list of the new features in SDL Tridion Sites 9, check out the release notes. Despite the good and bad news, the fact is that it is important we keep our software current, as it both gives us the latest and greatest version, happier users, a larger version number (just kidding! ), and also longer support. In this article I will give a list of some of the things to consider when upgrading. The upgrade process is usually somewhat confusing, as the architecture of Tridion in an enterprise setup can be complex and a bit overwhelming. I tend to think of it from a bird’s eye perspective, and divide the architecture into 3 large pieces: Content Management, Publishing, and Content Delivery. These pieces all affect various parts of the organization and the ways they work – and this is something we should consider as part of our plan when we upgrade various mission-critical pieces to the new version. Before we begin, if you’re using a web framework such as DXA, then you need to check if the version of DXA is compatible with the version of the Tridion upgrade. First, I always suggest to start with a ‘sandbox’ server, which can be a copy of the Development environment. This is a place where if we make any mistakes, we won’t do any harm. We try to get as close to production as possible, but sometimes we might not have various components such as load balancing configurations or other third-party systems. Regardless, we try our best to have a fairly decent environment here that resembles production. We should also have all of our latest Templates, Event System Code and other Tridion extensions in this environment. This is where most of our risk lies, and where we will want to have time and a safe place to try the old code in the new version – to fix any potential issues that pop up. Once we analyze and try out our customizations in the Tridion environment and prove they don’t break the newly upgraded system, then we can relax that most of the risk of the upgrade is handled. In the sandbox environment, most of the customizations and extensions in the Tridion system are in the CMS or the Publishing side, although many people also extend and use the Content Delivery APIs as well (using Java or .Net). I suggest we start with the Content Manager server upgrade, as it is fairly quick and fairly painless, and the CME / DB usually upgrades without any major issues. This then allows us to test our Templates and backend customizations. Next up would be the Publisher upgrade, and again it is fairly painless. Finally, we would upgrade Content Delivery, and the Micro Services. This is a bit more time consuming and also can be trickier, given the number of moving pieces and numerous configuration files. However, if you’re upgrading from 8.1 or 8.5, your experience should be fairly smooth, since as I mentioned above, little has changed… Please refer to the SDL Docs Upgrade documentation for more details. The first thing we want to try after we upgrade is to Publish. This tests that all the layers of the architecture are working together and we can deploy content changes. If the publishing doesn’t work, common issues are a configuration issue in the Deployer_conf file (check the Database settings, etc) or that the items hang in the Publishing queue and might need a Publisher restart. Once items are publishing you can move onto testing Publishing other pages, and page types. We usually suggest to try to re-publish an entire site, or sites, if it is possible within your environment. If not, then select a subset of pages which represent the main page types and publish them to be sure the mechanism works for these as well. Next we would want to look at any advanced extensions or customizations. I would suggest that someone who has been a member of the Dev team for a while make a list of the customizations, the locations of the files, what the customization does, and how to test it. This is very helpful not only during the upgrade, but in the future for testing as well. If you’re using the excellent Alchemy Framework, make sure to check if the plugins continue to work with the new GUI, and also check to see if a new version of Alchemy is out and you could upgrade to take advantage of new features and compatibility. Other common things to check are ‘Custom Pages’, Event System code, GUI Extensions, Core Service apps and templates that call external services. 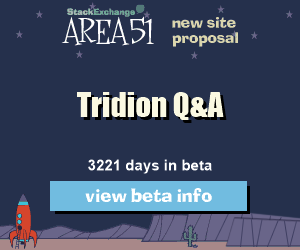 Assuming everything still works, then we would want to update the Event System, GUI Extension, and Core Service apps to reference the latest Tridion Sites 9.0 DLLs instead of the 8.1 or 8.5 ones. And, again, test everything to make sure that nothing breaks, and celebrate that this step in the upgrade has gone well. Next up would be to look at any Publisher / Deployer customizations, as it is common to publish content to various search engines or databases. Usually this code is written in Java, and with a bit of luck you will have a Java developer handy that is familiar with the code and Tridion, and can update the app to use the latest Tridion JARs, and test it on his local development machine. This sometimes can be a but tricky if the developer doesn’t know Java, or doesn’t know Tridion. So, if you have one of these types of extensions, then before the upgrade begins you might want to confirm the availability of the Java developer to support your team. He or she will not need to help out in the above steps. Also, the upgrade can be done on a local development machine and tested with Deployment Packages, and in that way the Java dev can use their local IDE such as Eclipse or NetBeans to debug the code. Finally, if we are using any Content Delivery APIs, we would want to upgrade our WebApps to take advantage of the latest features. This includes both .Net and Java environments. The Tridion installation media includes the latest DLLs or JAR files, and we would then need to update our WebApps and re-compile them to take advantage of the latest version. If you have some automated tests of the live website and it’s possible to run them here, that would be great and very helpful. Also, it’s a good time to check some basic performance numbers, if possible. If you’re using a Web Framework such as DXA, then you might need to also upgrade that to the latest version to be compatible with the latest Tridion version. This would be part of the ‘upgrade WebApp’ step. At this point most of the article and attention has been on customizations and the ‘risky’ part of the upgrade. I haven’t discussed TopologyManager or MicroServices in detail, as they already exist in Web 8.1 and 8.5 and should continue to operate in more or less the same way, without any major changes. If you’re upgrading from Tridion 2013 then you would need to plan a but more time to handle the MicroServices and TopologyManager sides of the upgrade. So, we come back to our original question: Why Upgrade? It’s a good one and it’s sometimes hard to answer. With large software packages that rely on many external systems (Database, Server, etc) it is good that we maintain them and keep them all in alignment – so they can all operate efficiently and also as expected. We also stay on a same version as other customers, and with that, we benefit from any hotfixes or service packs that solve open issues. Finally, we help provide our end users with the best that Tridion Sites has to offer at this point in time. I’m a big believer that we can always do better, and if you’re using an older version of Tridion, probably the business and users would be happier and more efficient using the latest version of the product. 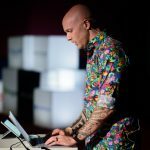 Being a Developer means we must constantly update our knowledge with the latest tools and techniques, frameworks and cloud options. One of the best ways to do that is attend a developer conference, where we can get a lot of information in a few days, and also network with fellow developers. This year I was happy to return to DevReach in Sofia, an event organized by Progress Software (in the past, Telerik) and focussed on the Microsoft .Net technology stack. The first time I attended was in 2013 at a local cinema in Sofia, and I was impressed by the quality of the organization and high quality of talks an speakers. The event was one of the inspirations for me when I created the Tridion Developer Summit conference. This year did not disappoint! We were back to the cinema, with a very full agenda with several tracks and high quality speakers. The speakers were all industry experts, mostly from Microsoft or Progress software, and were very familiar with the content they spoke about. The agenda was littered with talks on AI and Machine Learning, Serverless and Docker, and also cloud and Azure. We had a few sessions about .Net, and these were well attended, with people standing in the aisles, or sitting on the floor in front, all with their eyes glued to the code on the screen, and listening to the speakers unraveling the code on the screen in front of us. The talks were very well attended and I had to sit on the floor a couple of times to attend a talk. A good sign, if you ask me! One of my favorite talks at the event was the Docker presentation by Chris Klug (https://twitter.com/ZeroKoll). He not only knew his content, he presented it in a very funny and interesting way. He walked us through why to use Docker, and how he uses it to run .Net Core in an isolated and trusted way on his laptop. Slides were at a minimum and he spent lots of time at the command prompt, issuing commands like a true console ninja, and wow’ing us in the process. He ran over on time, but he still wanted to show his last demo, so he fired off a few commands at the command prompt, hit return, waited 10 seconds, and it all worked…or it seemed to. Another nice talk was the session after his was by Tibi Covaci (from Codemag) on the state of .Net – what is happening in the Core and with the latest version of the .Net Framework 4.6. This was a really nice summary and the presenter knew his content really well. I also attended a few AI talks, which mostly focussed on the business case and were an introductory level, showing code only within Powerpoint. I hope next year we see more live demos and live coding, and also more deep talks. On day 2 I was really looking forward to the Sitefinity Headless CMS, since I have a background in Content Management and wanted to see how Sitefinity would handle this new trend. After some basic concepts were explained, we were shown the OData response in the browser, and then shown a WebApp and Mobile App that consumed the CMS data from the OData service. I have used OData in the past and not been too impressed with it. Seems to get difficult when filtering results, or doing more advanced queries of the dataset. One of the participants made some comments about exactly this, and then said he had later figured it out. But, unfortunately the talk was very short, using less than half of the time for the talk, and didn’t seem well prepared. I would have liked to see more code, more behind the scenes of how he consumed the data, and in general more discussion around the idea of headless versus standard. After this talk I listened in on a .Net Rocks live show, always funny and a pleasure to listen to the topics discussed and how they move through so many different ideas. The discussion went to Serverless and tooling, with one of the guests speaking about VIM and her use of the editor. Others spoke about VS Code, and how helpful the debugger is in it. 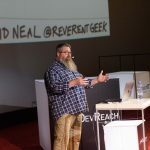 Finally, the day wrapped up with a very inspirational talk from Neal (reverentgeek), titled ‘You Are Awesome!’. He comes from my home State of Georgia, and it was nice to hear a familiar accent. 🙂 Very inspiring, authentic and from the heart, Neal shared with us that we can all get better at something by putting in the time and dedication to the task, and continue practicing. For example, a few years ago Neal discovered he likes to draw, made some sketches for a conference talk of a man, and then 3 years later made the same sketch. The level of detail and quality had improved a lot! That reminded me that we need to practice a bit, every day, and to be nice to ourselves and allow us to fail sometimes, but keep moving forward. Big thanks to Neal for sharing his honest story. We were all invited to a 10 year celebration party at a nearby hotel, where a famous Bulgarian rock band performed while we networked with the speakers and other attendees. Overall, the event was very well organized and offered a lot to the participants. Big thanks to Progress for hosting the event! I hope they are able to continue providing such a high quality Developer event to the Balkan region.